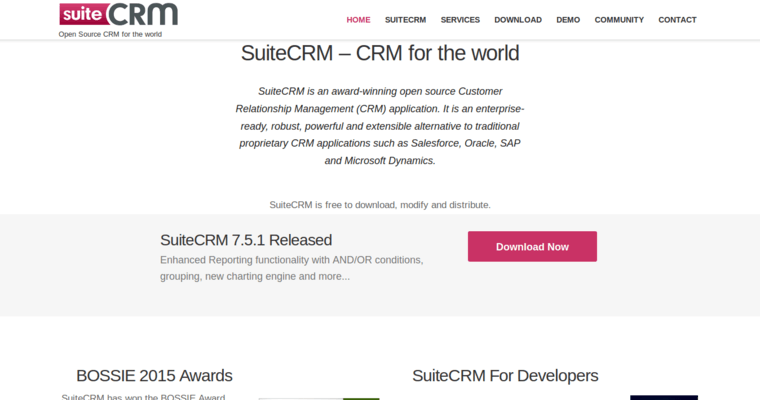 Suite CRM is an open source customer relationship management platform used by enterprise-level organizations as well as small to mid-size businesses, startups and nonprofits. The flexible software is used by sales, marketing, customer service and IT teams. The package's integrated systems allow for easy information sharing across teams and silos. 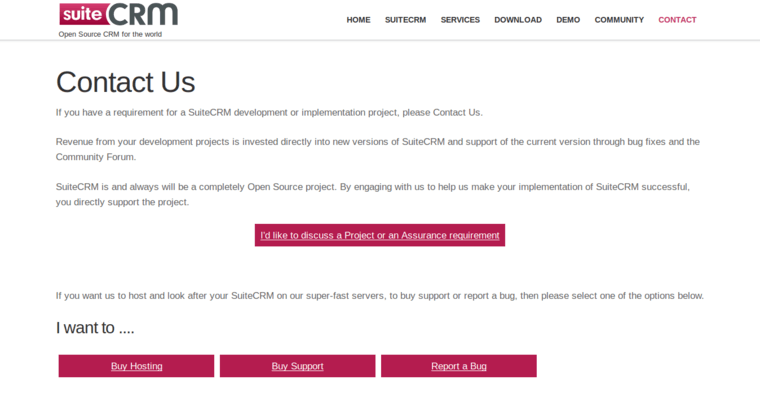 SuiteCRM provides users with support, from developer and community forums to dedicated support from Sales Agility, the software's development team. 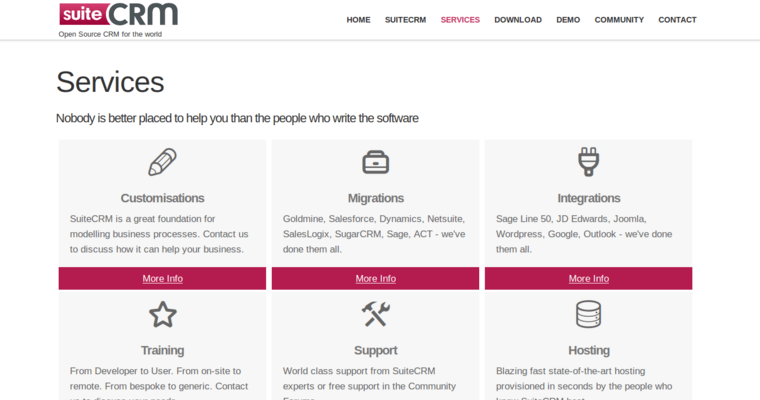 SuiteCRM's support team offers consultancy, migration assistance, customization and design solutions for organizations that aim to optimize their workflow, increase user adoption and boost conversions. In addition, the software meets regulatory specifications, provides a secure business environment and offers warranties and coverages found in competitive propriety software CRM solutions. Organizations within the fields of finance, manufacturing, healthcare, travel, retail and those in the public sector will find the solutions they need with SuiteCRM.